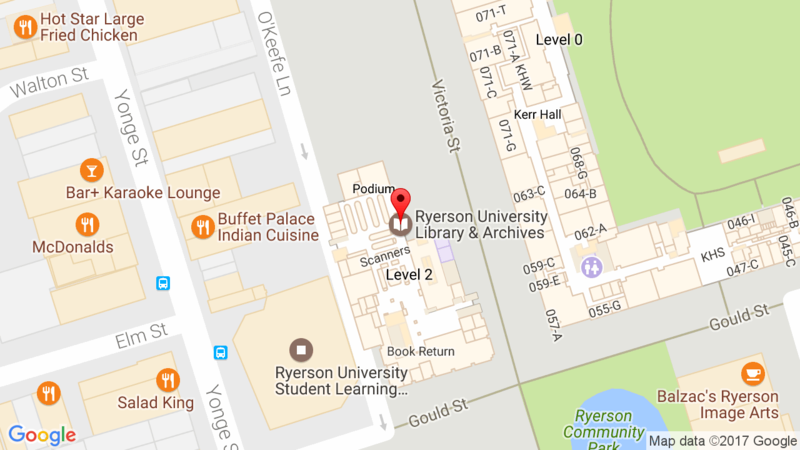 On Thursday, March 14, 2019 Ryerson University Advancement hosted the “Rule of the Robot” Blue & Gold Society event at the Library Collaboratory. 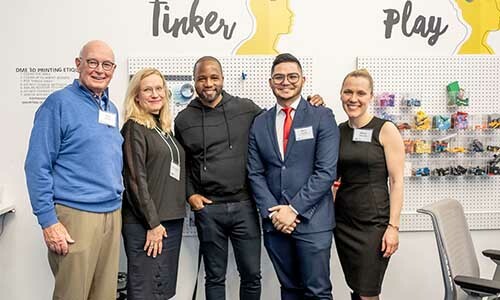 Members of the Blue & Gold Society joined Valerie Pringle, Chair, for an exclusive peek inside the Ryerson University Library Collaboratory and Isaac Olowolafe Jr. Digital Media Experience Lab, where research meets tech in interdisciplinary collaboration. This entry was posted in News by jenna.charlton. Bookmark the permalink.